TMD stands for temporomandibular joint disorder, or TMJ disorder. Many Americans suffer from the symptoms of TMJ disorder without being aware of what is causing them. TMD occurs when the temporomandibular joint becomes inflamed or misaligned. TMD can be caused by physical trauma, disease, regular wear and tear, teeth grinding, or arthritis. The symptoms of TMJ disorder can range from slightly uncomfortable to very painful. Your TMJ can prevent you from living your life the way you want to. You shouldn’t have to live with the discomfort and frustrations of TMD. 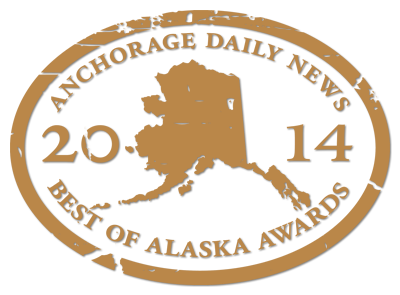 Turn to Alaska Premier Dental Group for help in Anchorage, also serving Wasilla. Alaska Premier Dental Group provides relief from TMJ symptoms with TMD treatment. Come talk with one of our dentists so that they can learn more about your symptoms and learn what type of TMJ disorder is bothering you. With an examination, your dentist can discover the best way to treat your TMJ disorder at the source so that you can find relief from your symptoms. Your personalized treatment will depend on the cause of your personal TMJ disorder. Treatment may be a mouth guard so that you do not grind your teeth, realignment of your teeth with orthodontics, or another treatment that will better match your needs. We can also treat your symptoms with medication, relaxation techniques to manage your stress, or jaw massage. We will educate you so that you can control your comfort at home as well. Alaska Dental Group in Anchorage can increase your daily comfort levels by treating your TMJ disorder. Give us a call today and set up an appointment, so you can start feeling better.